Thank you for inquiring about Ronjo Entertainment. My name is Ron Diamond. I am the CEO and CEM ( Chief Executive Magician) of Ronjo Entertainment. I started my career at the age of 11, and by the age of fifteen I was performing and entertaining professionally. 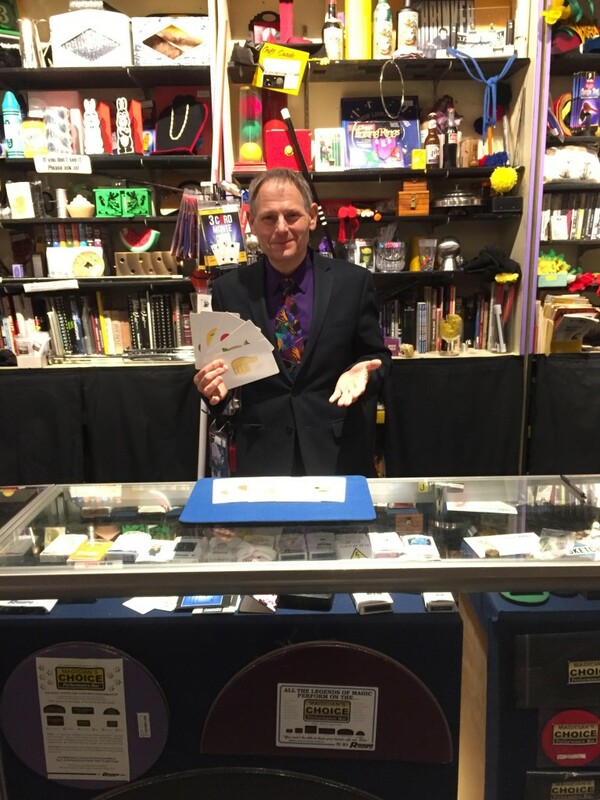 I opened Ronjo Magic and Costume Shop, along with Ronjo Entertainment in 1974. I started my business as a one man shop, one counter, and twelve tricks. I have always been passionate about people first. I have grown my company by listening to what my clients want, collaborating ideas with them, customizing and coordinating each detail. I’m dedicated to responding and delivering to you the most amazing experience for your event. Being a professional entertainer myself, I have the experience, knowledge and specialization skills necessary in event coordination and party planning. My entertainment business and magic/costume shop have evolved and grown since 1974. Thanks to our expanding list of loyal clients, and their referrals. I have a vast network of seasoned, professional entertainers, and staff. I have built a close relationship with my suppliers and vendors. My wife calls me the connector. I thoroughly enjoy seeing my clients and their guests laughing and having fun at their affair. Watching how impressed your guests are, the smiles on their faces, and knowing everything is being taken care of, is what I do best. So, relax, please call and come visit our exciting showroom and meet with me to discuss your next party, social gathering, corporate event, and wedding. Here’s what just one of our satisfied customers had to say about our entertainment. Since 1974 Ronjo Entertainment is one of the most respected talent agencies on Long Island, New York. We are a recognized entertainment specialist and coordinator for events and party planning of all sizes. For over 40 years we are a one stop shopping place, for all of your entertainment needs. Our party planning experience will help you find the perfect entertainment for your next affair or event. From a large corporate event, or school function to a backyard party. we love to perform for your guests. It’s not what we do, it’s how we do it that makes the difference. We listen to all of your requests and respond with incredible results assuring your happiness and seeing that your guest are delighted. Referrals are our standing ovation and we love growing from this position. Always feel free to contact us.